Planning On Speaking At This Pacifica Fundraiser, On My 50th Birthday! 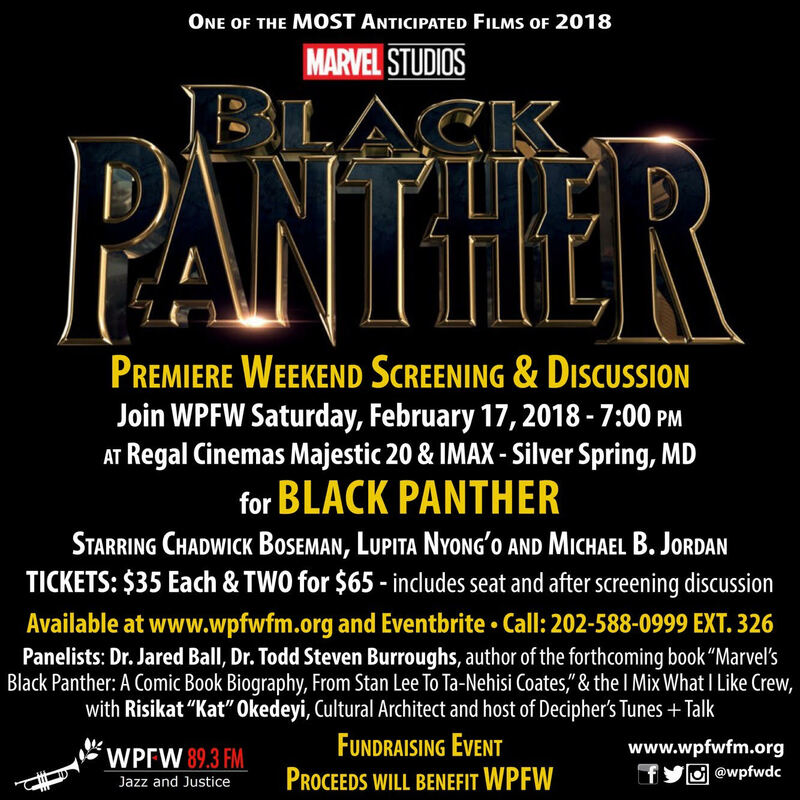 This entry was posted in books, cartoon, comics, film, magazine, news and tagged "Marvel's Black Panther: A Comicbook Biography From Stan Lee To Ta-Nehisi Coates", 89.3 WPFW-FM, Dr. Jared Ball, imixwhatilike.org, Marvel's Black Panther, Marvel's Black Panther movie, Risikat "Kat" Okedeyi, Todd Steven Burroughs. Bookmark the permalink.